Investing in Hawaii Real Estate With My Retirement? I’ve heard that line a bit lately from folks when hearing about how they can use their very own retirement money to invest in Hawaii real estate. It’s as if all of a sudden they have money they didn’t know they had and can start becoming a true Hawaii real estate investor. To explain how this is possible, I’ve brought back Dan Falardeau of New Direction IRA, a custodian for Self-Directed IRAs. MIKE: Aloha, Dan. 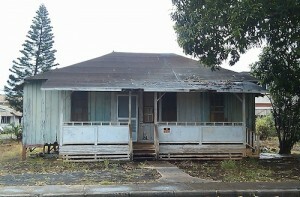 Thanks for contributing again to HawaiiHousingNews.com. Let’s get right to it. In your last post you basically described how a Self-Directed IRA works. I think that itself was news to many people. We recently turned the page on 2010 and are already a full quarter into of 2011. What was the big news or overall picture for Self-Directed IRAs in 2010, what do you see for 2011? DAN: The up and down of the stock market roller coaster is crazy. You’re happy one day, sad the next. You have no control over what makes the values of your mutual funds change. Self-Directed IRAs, on the other hand, give you the control you want. It’s a buying opportunity out there for anyone with money in their retirement accounts. The unfortunate situation with the housing market across the country has prices down, but investors with Self-Directed IRAs can pickup great deals on investment properties. MIKE: It’s my understanding that Self-Directed IRAs can be invested in anything from your typical stock and bond mutual funds to precious metals, start-ups and more, including real estate. Is this right? DAN: Yes, there are many investment options with Self-Directed IRAs. We have clients that buy investment Real Estate, loan their funds in the forms of Notes, buy businesses such as franchises; foreign currencies and precious metals are very popular these days. With the price of gold in uncharted territory, many people are looking at diversifying part of their retirement portfolio into the precious metals market. MIKE: What percentage of assets in Self-Directed IRAs nationwide would you guess are invested in real estate and what about here in Hawaii? 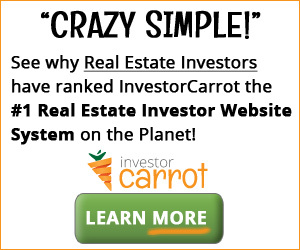 DAN: I would say that it is 1/3 – 1/2 of the Self-Directed IRAs are invested in Real Estate. Many people own rental properties with their personal funds and they are comfortable with that business, so it is an easy fit for them to do the same thing with their Self-Directed IRA. I would say the main difference between the Mainland and Hawaii accounts are the size of the accounts. Hawaii accounts tend to be larger and our clients are more interested in Real Estate than clients on the Mainland. MIKE: I remember you saying on more than one occasion that Self-Directed IRAs are not for everyone. What kind of person is this for and is this NOT for? DAN: That’s right, Mike. Self-Directed IRAs are not for everyone. It takes someone who is willing to think outside of the box a bit to invest their retirement funds in more than mutual funds. There will always be people who don’t know or even want to know what their IRAs and 401ks are invested in. They don’t have an interest and just want someone else to handle those decisions for them. Our clients believe that by taking control of their investment choices they can increase their returns and lower their stress because they understand where their funds are invested and specifically chose those investments. MIKE: Following up on that question, can you give me your top 3 “dos” and “don’ts” for using Self-Directed IRAs as it applies to real estate investments? 1. Don’t have your IRA buy a rental home to put your mother or college age child in. These are tempting, but not allowed under IRS law. 2. Don’t comingle your personal money with an IRA investment. If your IRA owns a rental property and the refrigerator goes out, you need to have the IRA buy the new fridge. You cannot personally make improvements to the property. The costs and benefits of the investment need to go to and from the IRA. 3. Don’t buy a ski condo in Colorado with your Self-Directed IRA and expect to go and stay there. No personal use of the retirement investment until you are retired. IRS says not my mother, but can I put my mother-in-law in this house? 1. Do your due diligence. This is your decision as to what to invest your IRA in and you need to be comfortable with the risk levels. That is why many people like Real Estate in their Self-Directed IRAs. They can drive by the rental property and see the house and that there are tenants in there sending money to their IRA every month. That is comforting to investors. There are no Wall Street guys running away with their retirement accounts. It’s in a property down the street and they can see their investment. 2. Do use the same people you have always used. If you have a Realtor that you trust, use that Realtor. If the Realtor isn’t familiar with Self-Directed IRAs, that’s fine. Have them call us. We teach Realtors about Self-Directed IRAs all the time. MIKE: This is great stuff and I’m sure our readers are going to love it. Continuing with the real estate theme, how would a house flipper use their Self-Directed IRA differently than, let’s say, a rental income cash flow investor? The timelines are obviously very different and I’m assuming the process is as well. DAN: Actually, they can be different or exactly the same. The main difference is that the funds to pay for the house and flip expenses come from the IRA instead of from their personal funds. The outcome is their decision, either hold it and get a tenant or sell it and find another investment. The IRA does not have an issue with property gains taxes, since the IRA already is a tax deferred vehicle. It can buy and sell on any timeline. It’s up to the IRA owner. MIKE: What about lending funds to other investors? If someone has funds in a Self-Directed IRA, they can basically act as a private lender to other investors for their own real estate deals, right? It seems like a great way to passively keep growing your account. How does that process work? DAN: These investments are “Notes”. The terms, such as interest rate, length of the loan, collateral to secure the Note can all be negotiated between the two parties and then the Self-Directed IRA lends the money and gets the payments growing the account with the interest. MIKE: Great. I think we’ll wrap this up here today, Dan. Thanks again for joining us here and sharing your knowledge. If someone is interested in learning more about using Self-Directed IRAs for real estate or other investment types, how can they get a hold of you? DAN: It’s my pleasure, Mike. Thank you for the opportunity today. Our office is in downtown Honolulu at Restaurant Row, upstairs from Ruth’s Chris Steakhouse. The fastest way, of course, to get more information about opening a Self-Directed IRA is on our website. Here is my contact information. Disclosure: I have a New Direction Self-Directed IRA myself and am actively using it for real estate investment right here in Hawaii. I highly recommend it.